Be sure to check out this new Target Cartwheel Offer! 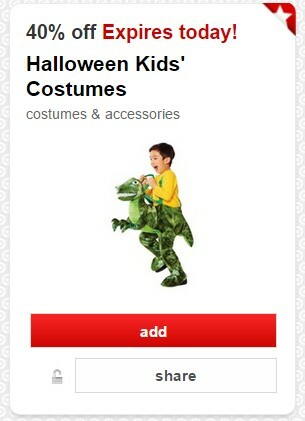 You can save 40% off Kids Costumes and Accessories today only! They have costumes priced as low as $10 in most stores, and accessories starting at $3, so lots of great deals to be found! 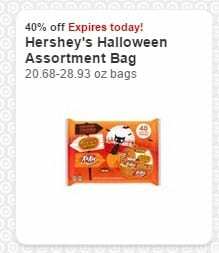 Plus they have some great cartwheel offers for 40% off Halloween candy! So be sure to stock up on that while you are there! If you haven't yet signed up for Target Cartwheel, go HERE to get started. It's super easy to use! And if you have a Target Red Card you can save an additional 5%!